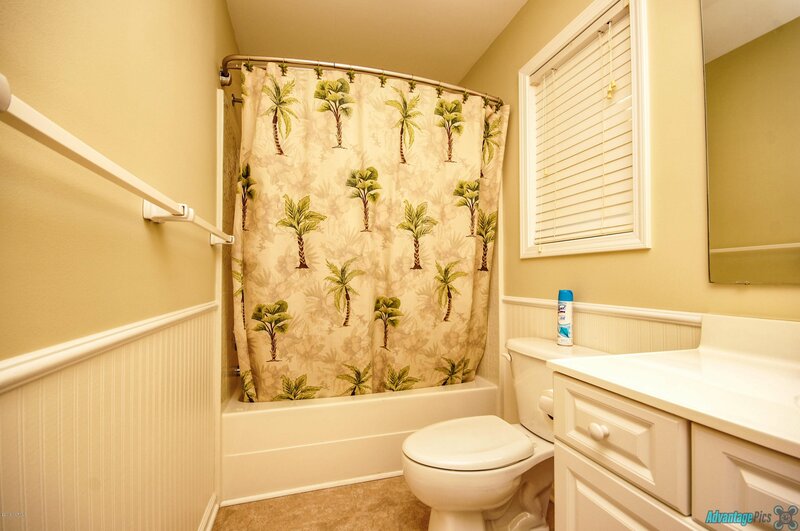 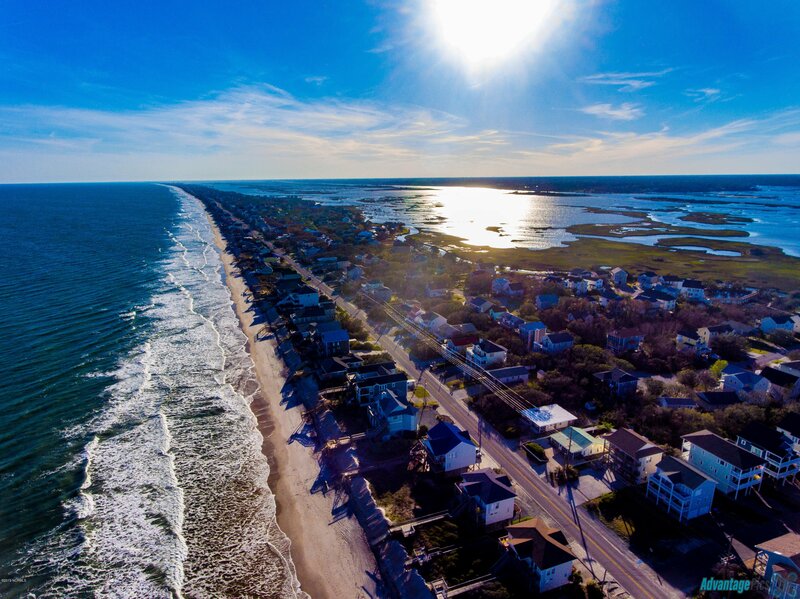 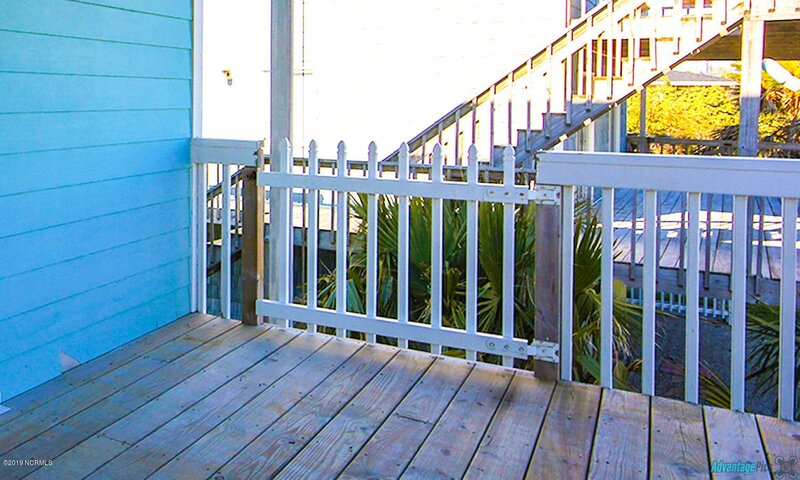 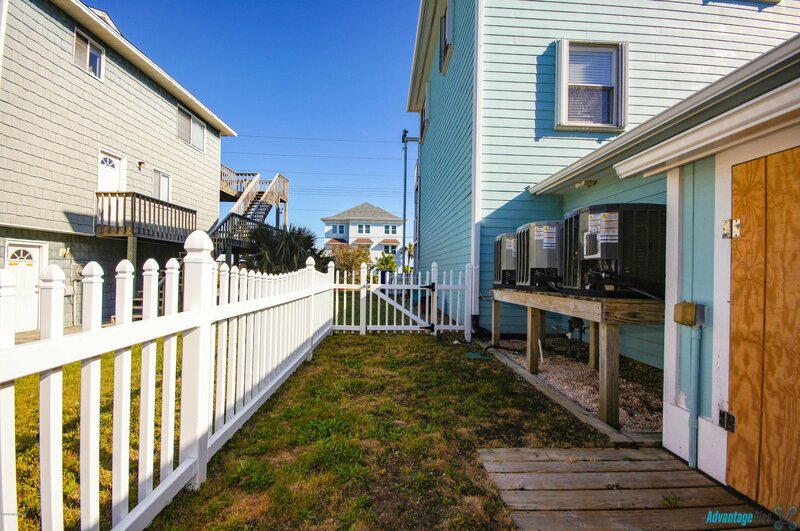 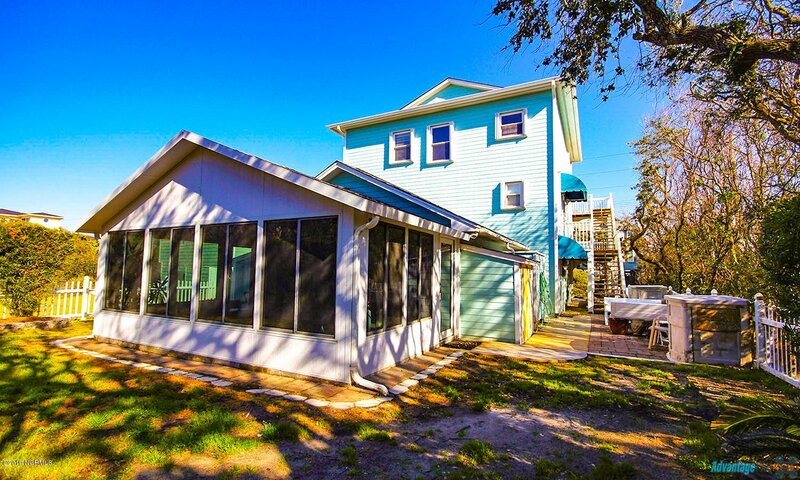 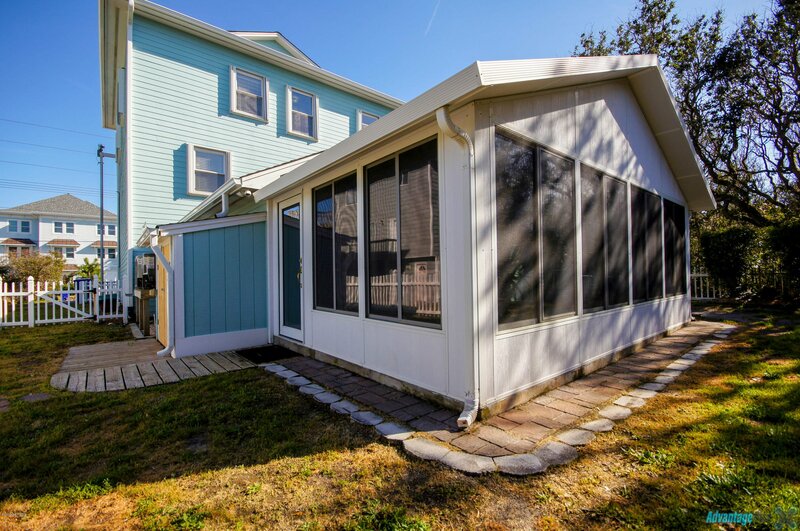 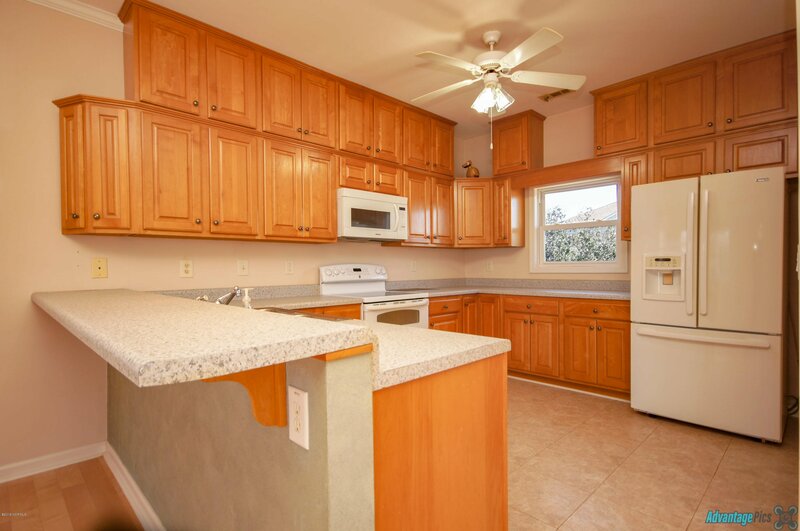 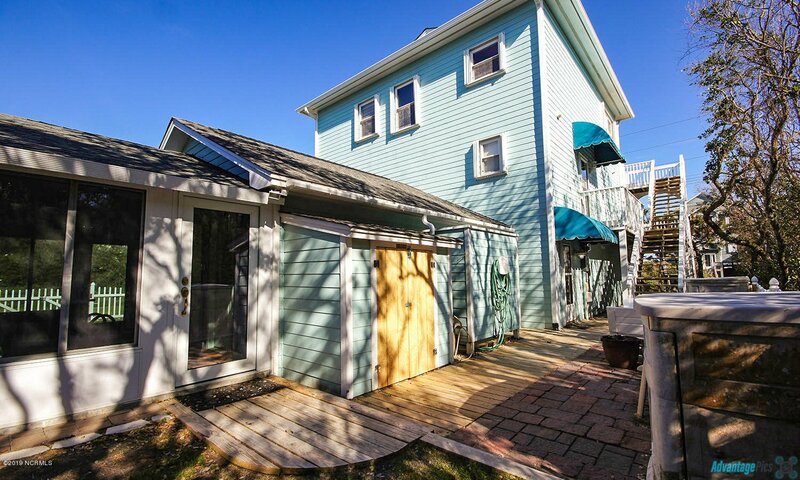 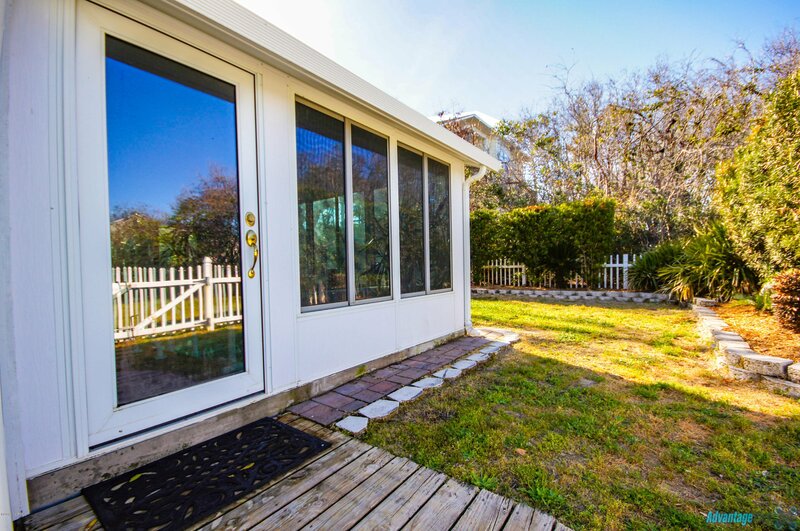 Second row home south of Surf City, on a high lot with a flood insurance policy under $500/year currently! 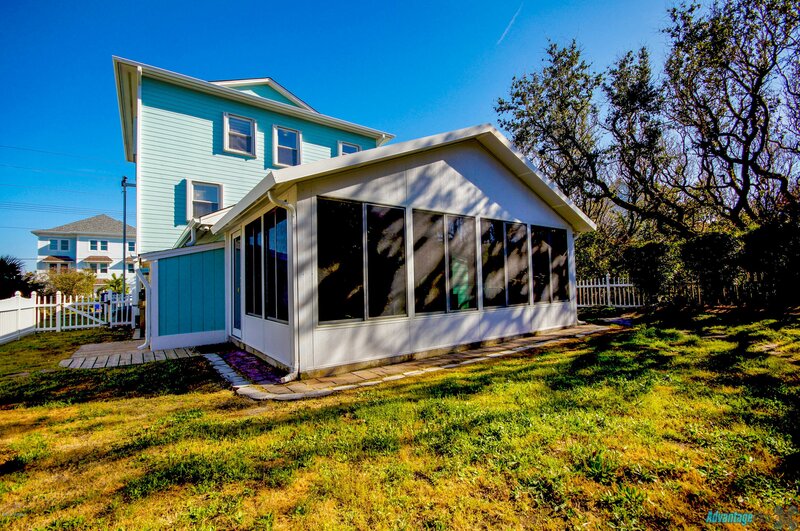 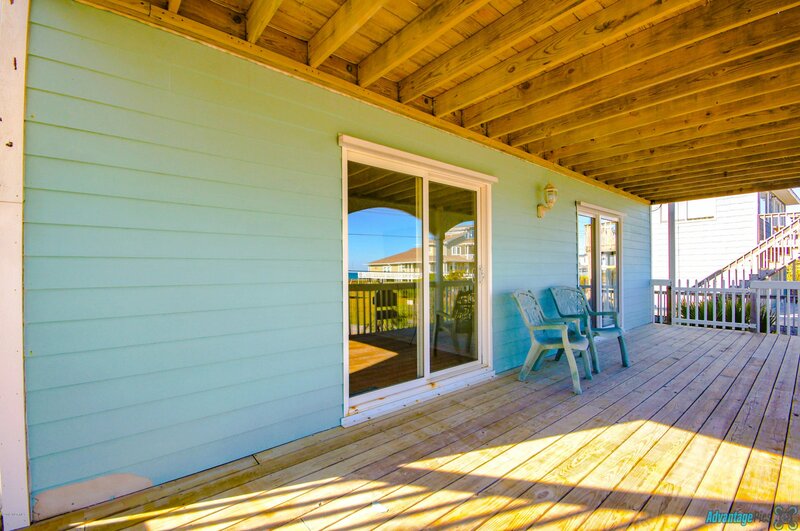 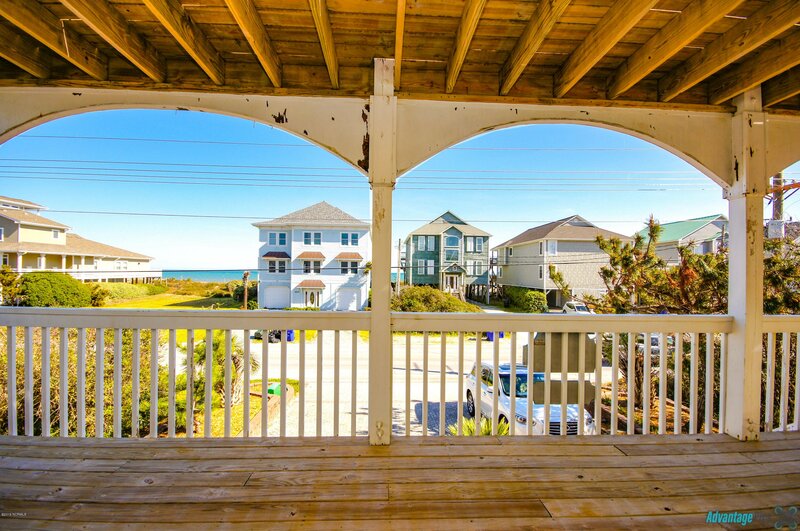 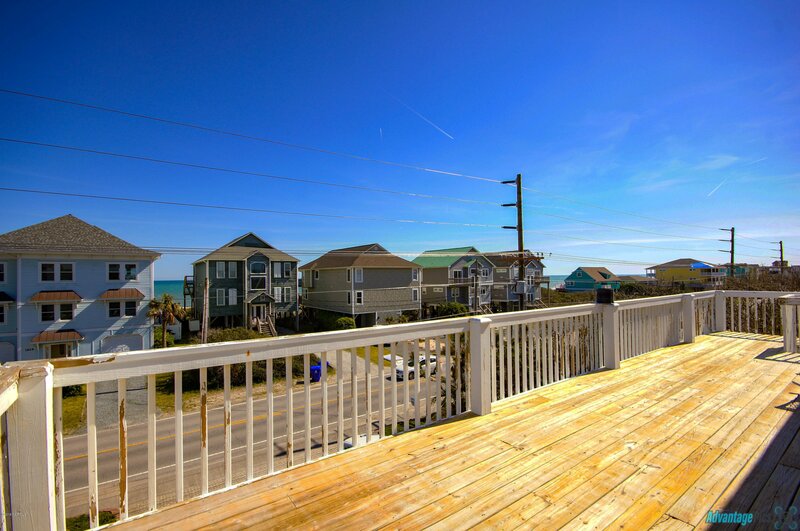 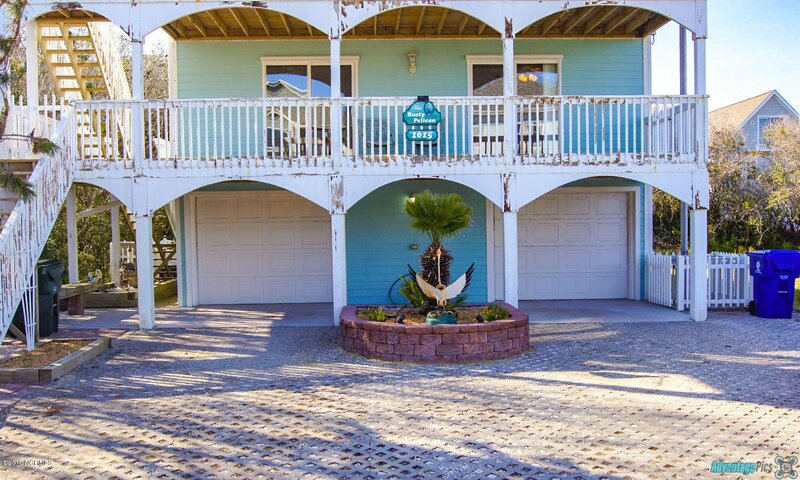 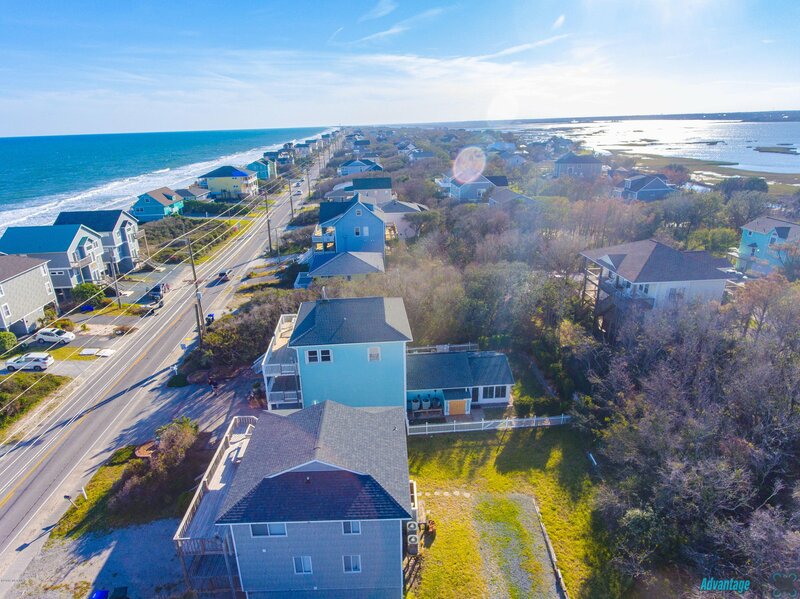 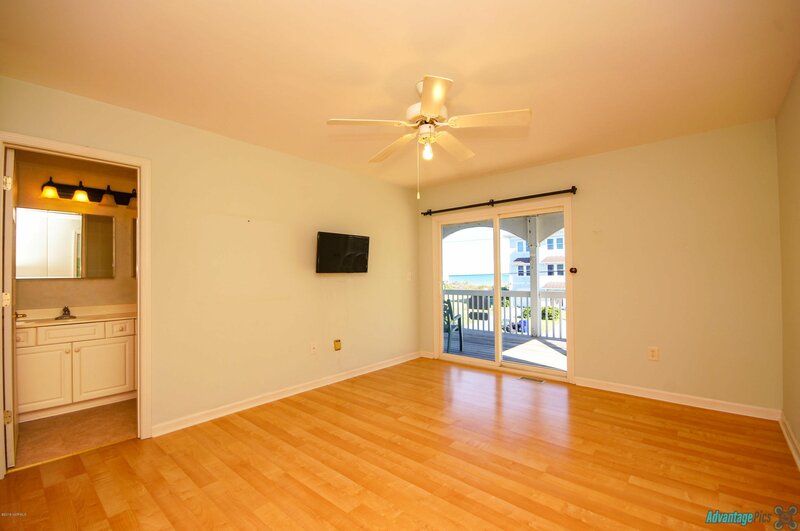 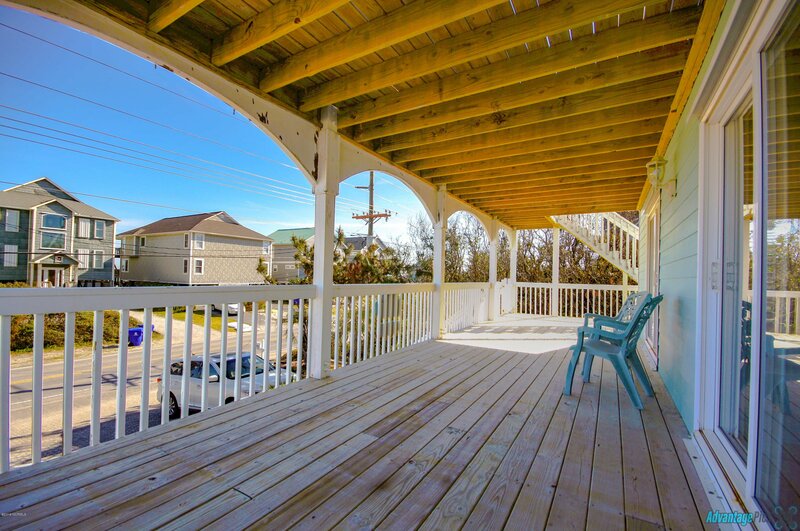 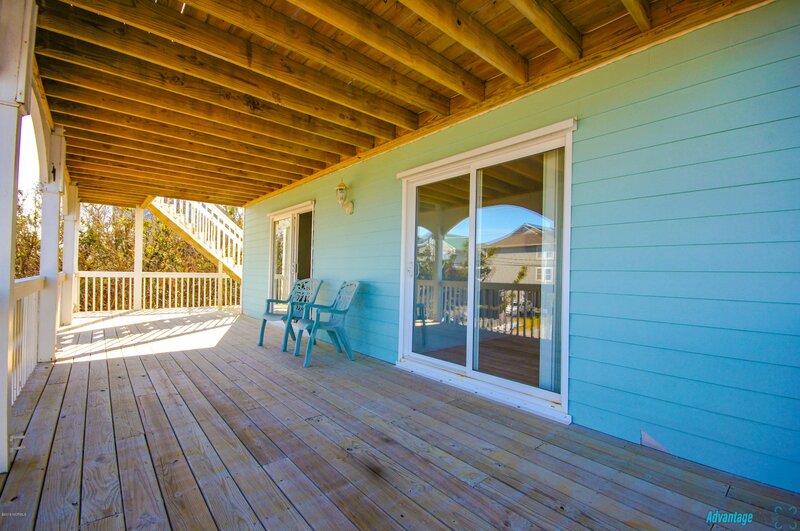 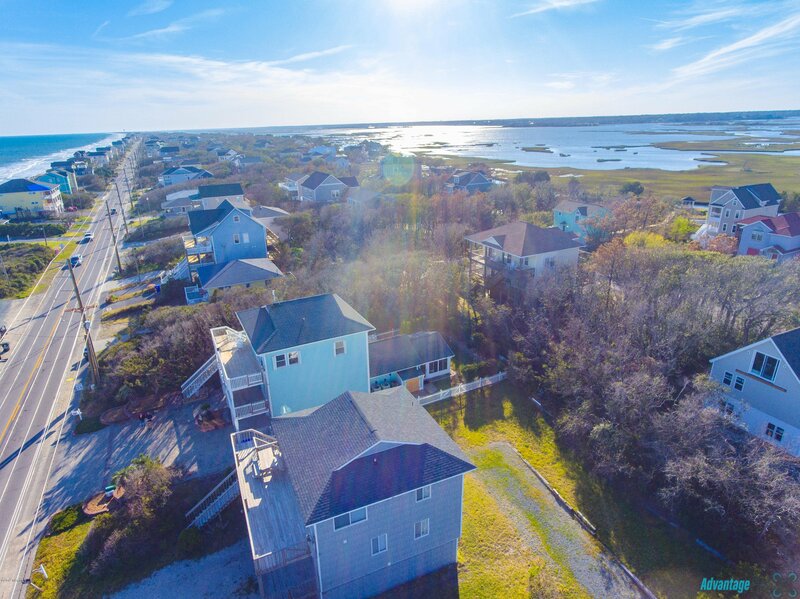 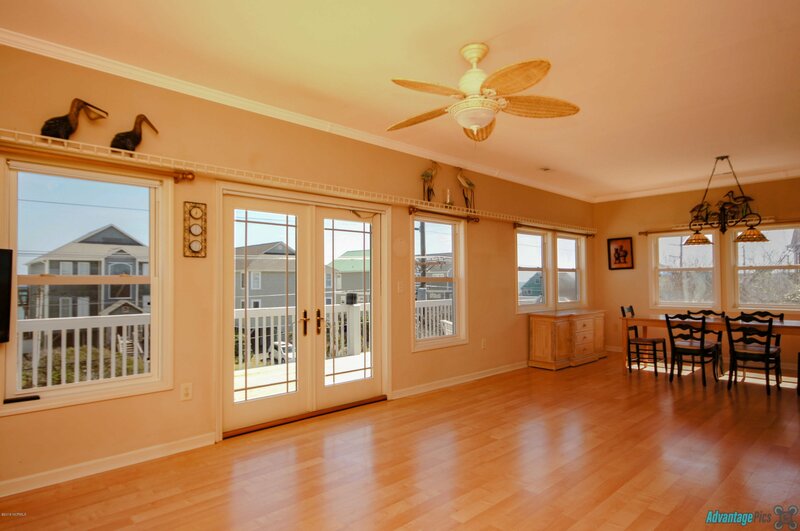 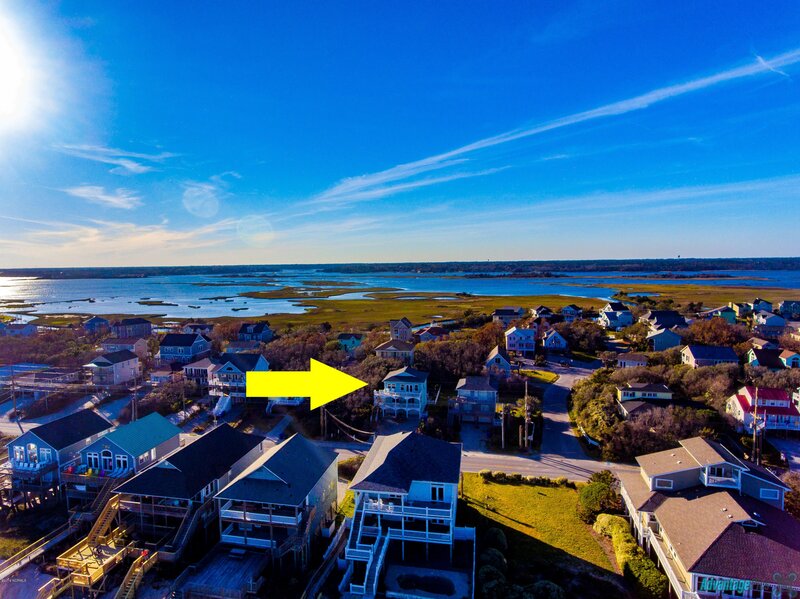 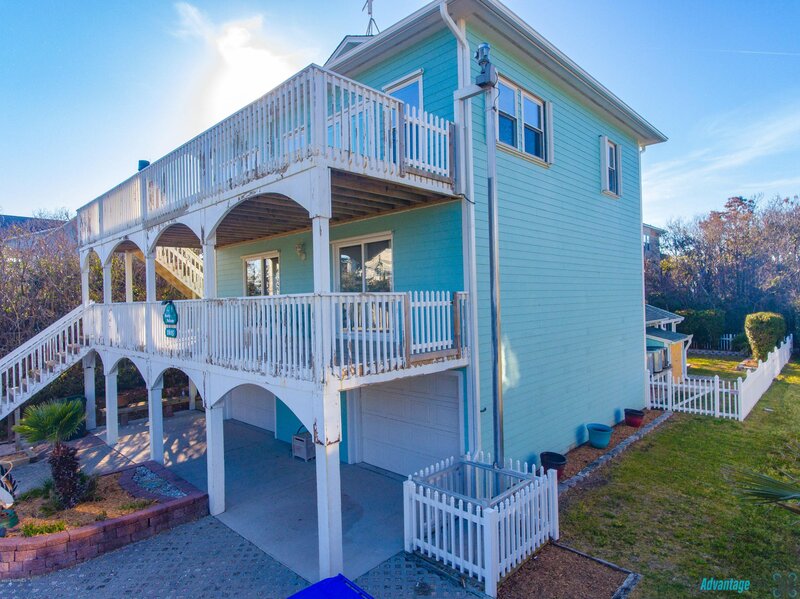 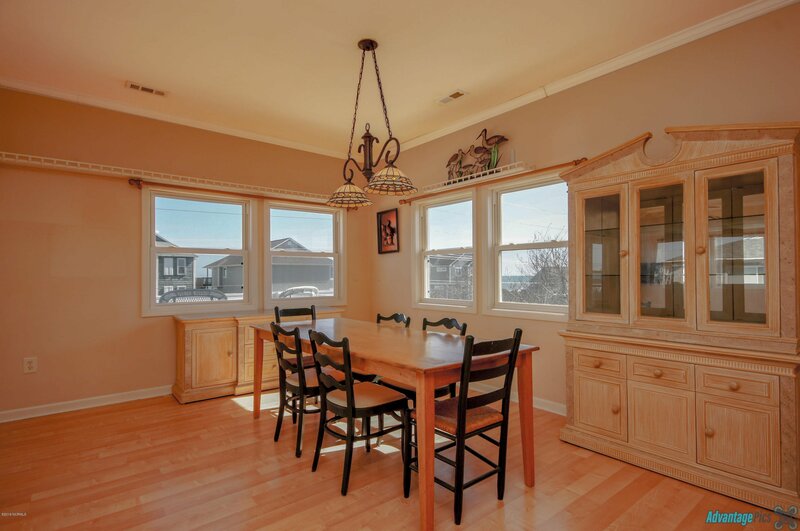 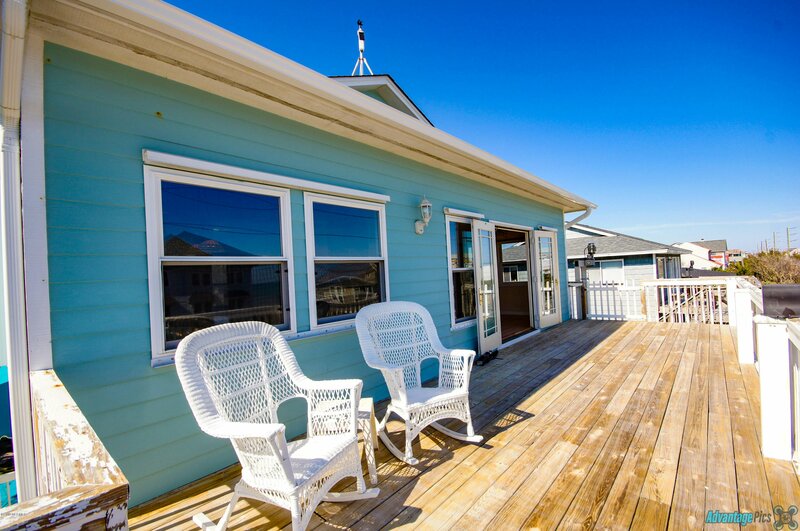 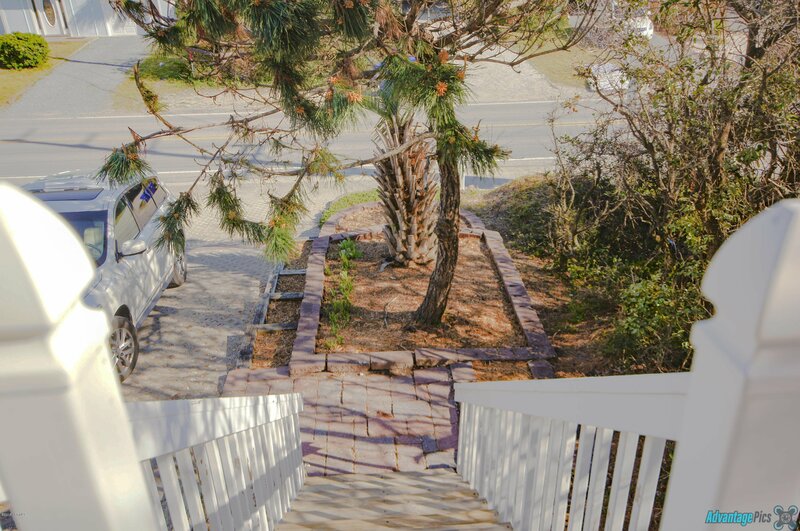 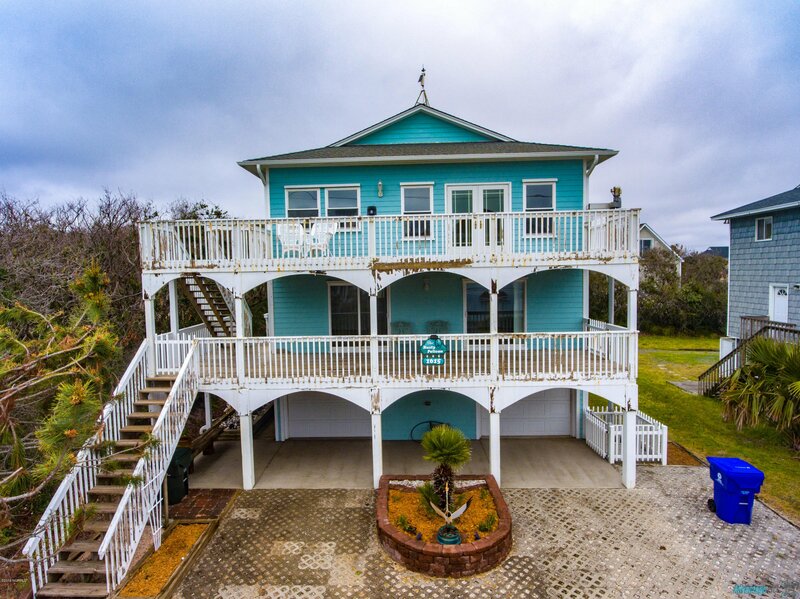 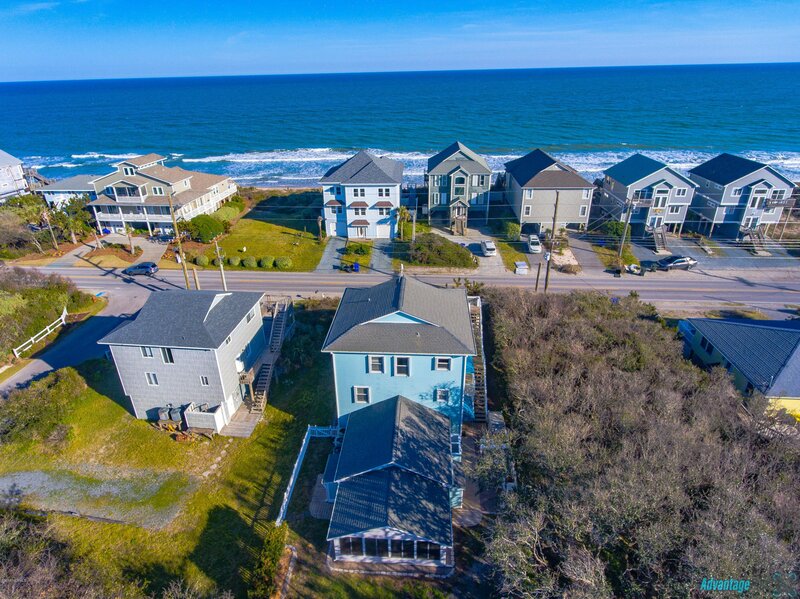 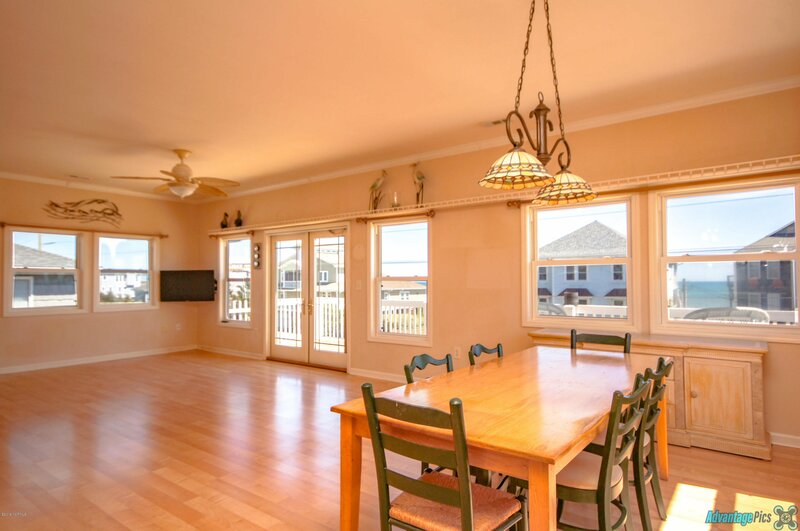 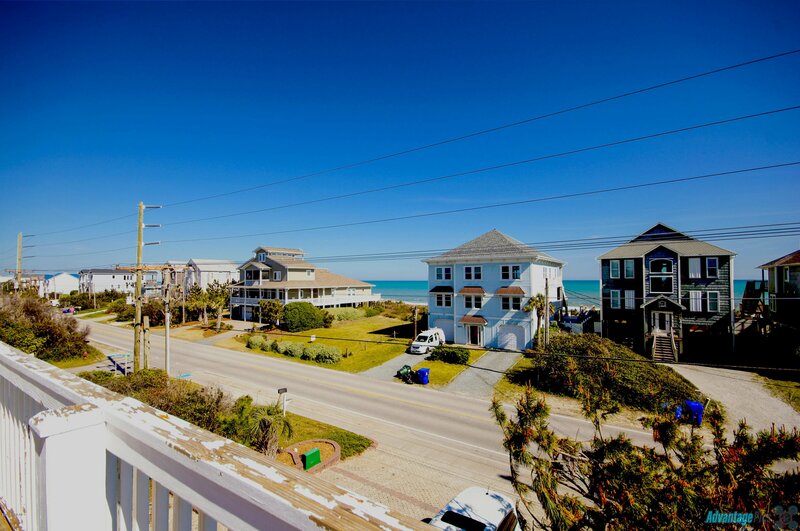 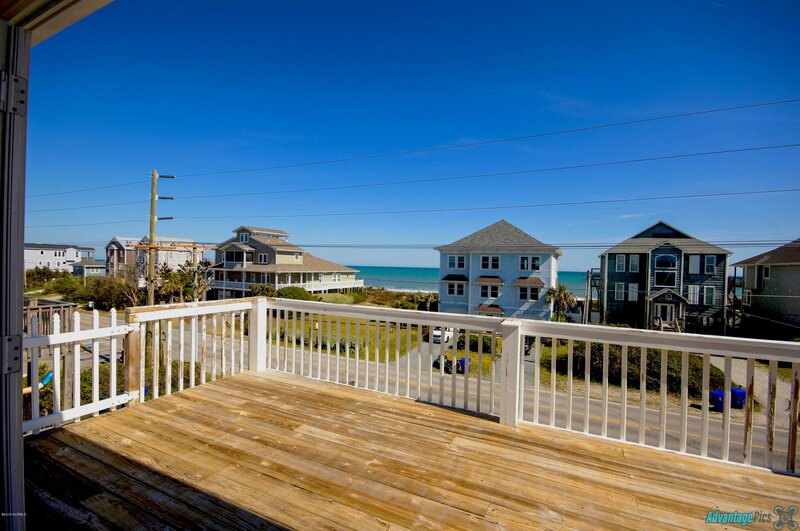 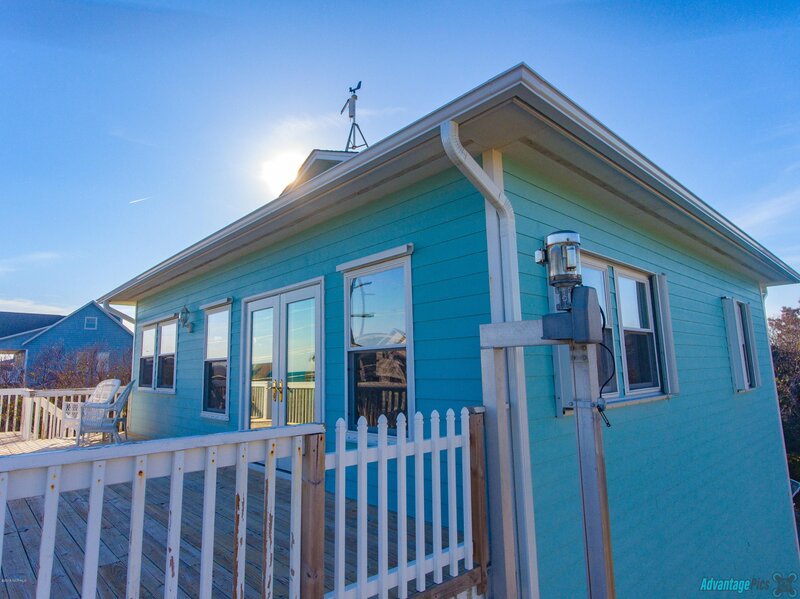 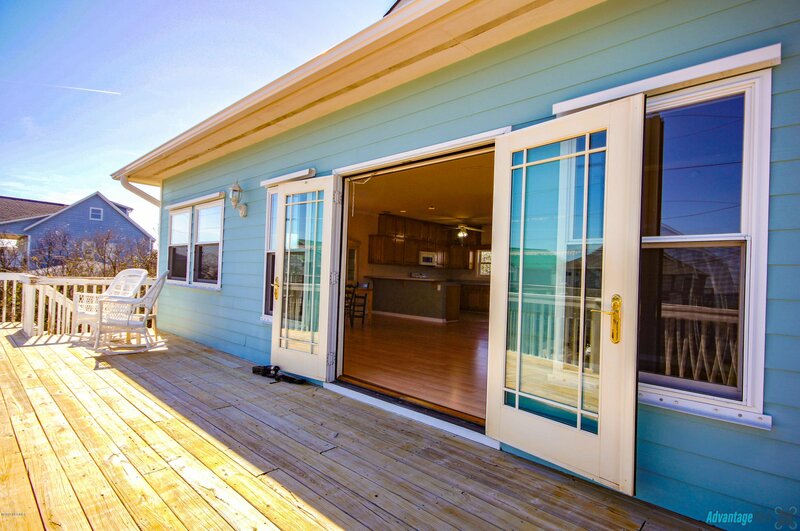 This 4 bedroom, 3.5 bath home has a reverse floor plan, so the kitchen, living room, and one bedroom and bath are on the top floor to take in the ocean views! 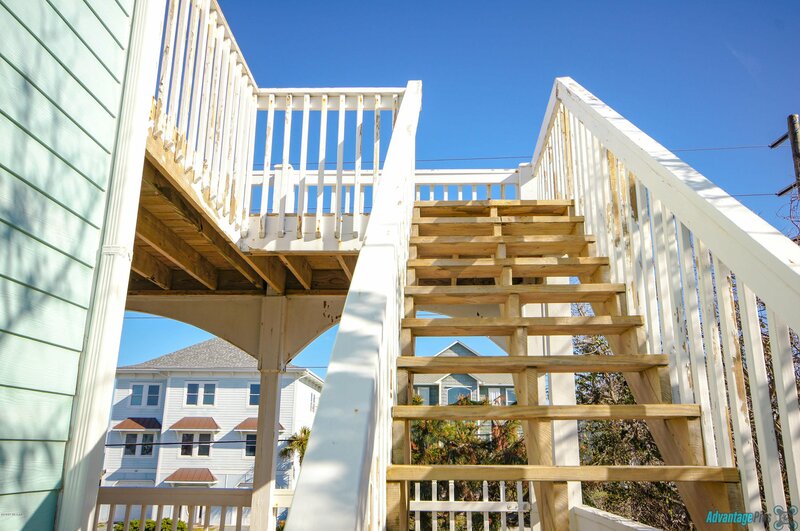 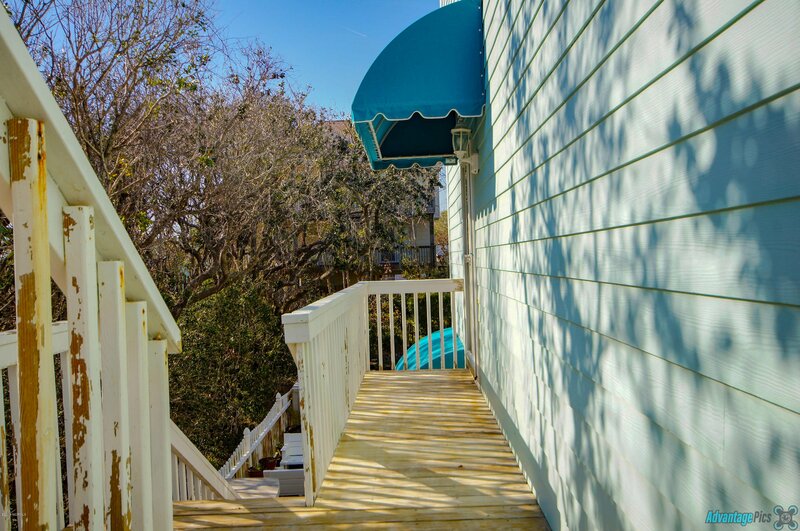 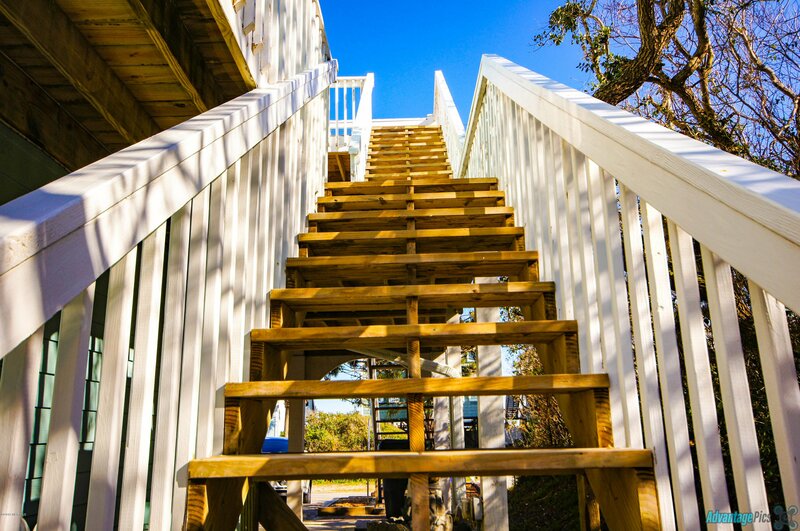 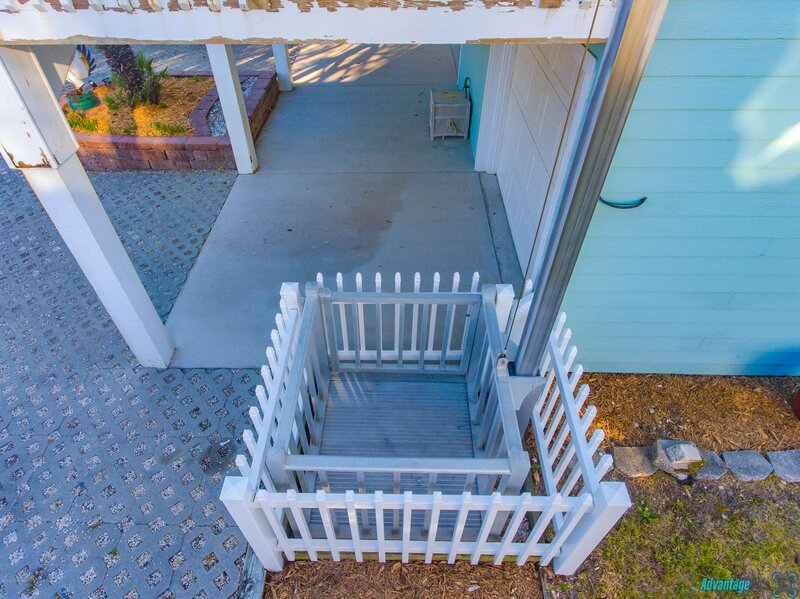 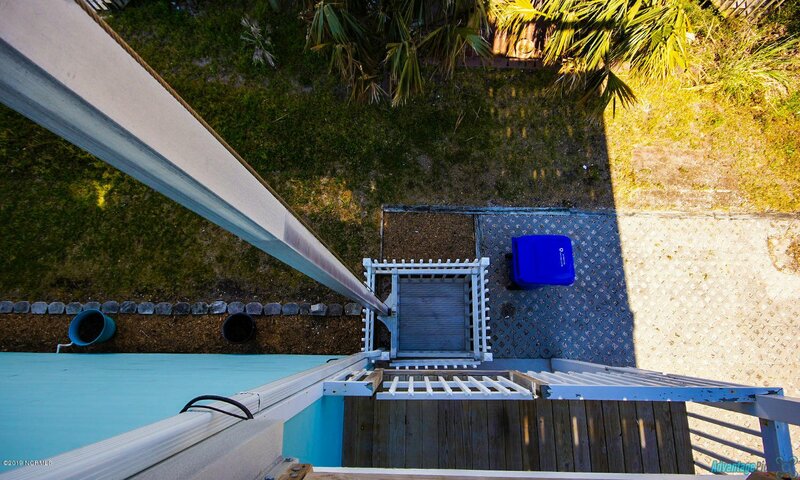 Don't worry though, you won't have to carry the groceries up the stairs, there's a 1000lb cargo lift beside the deck to do the heavy lifting! 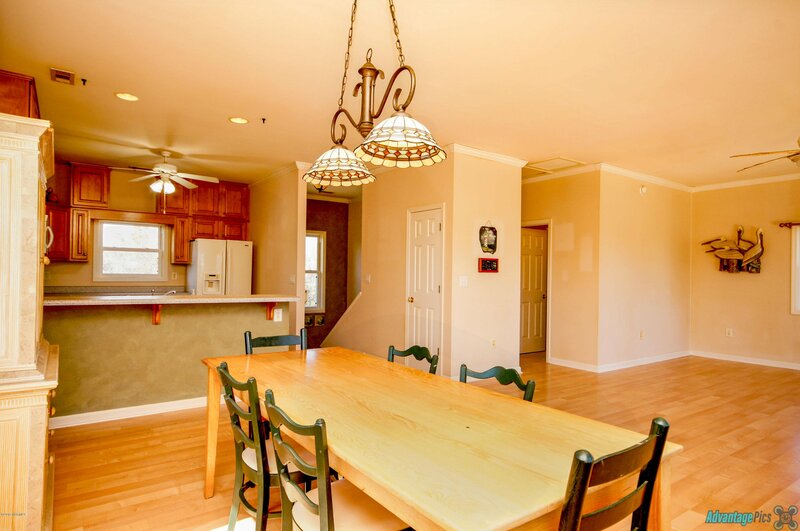 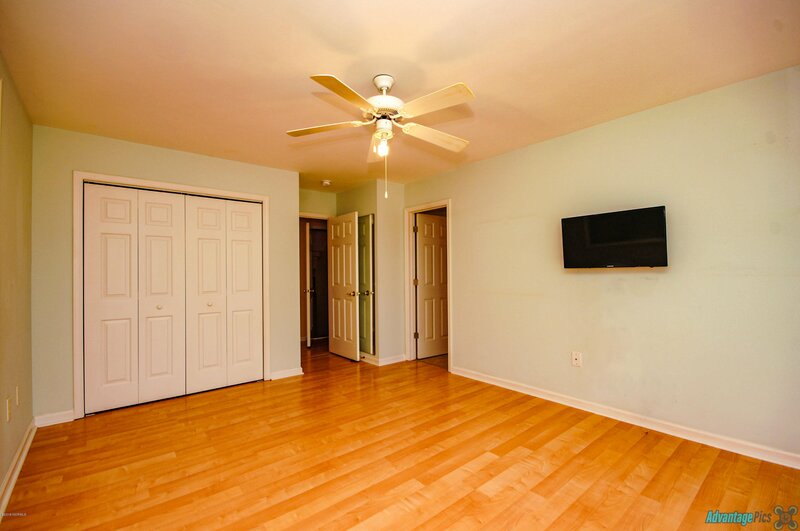 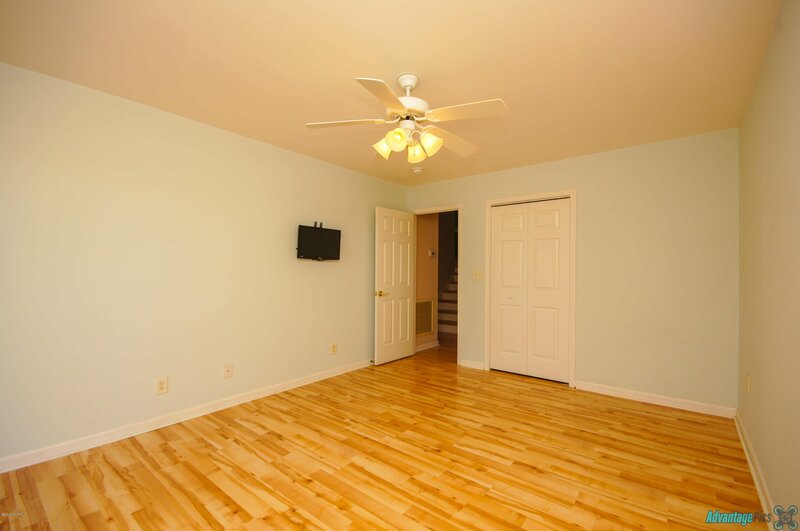 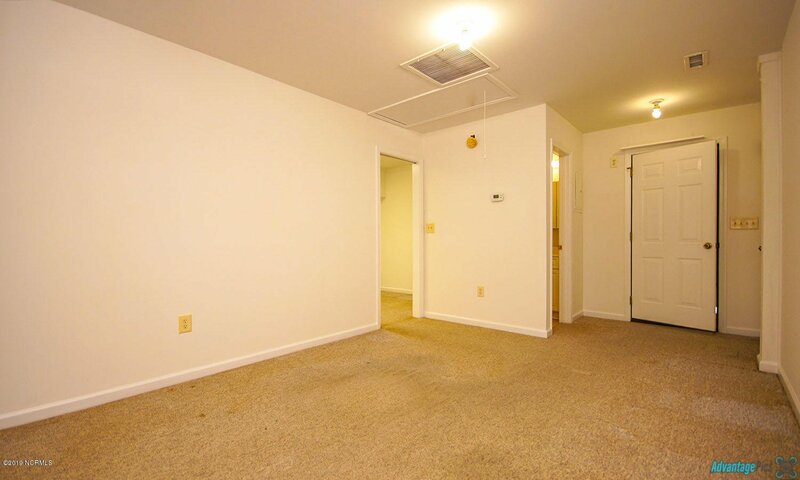 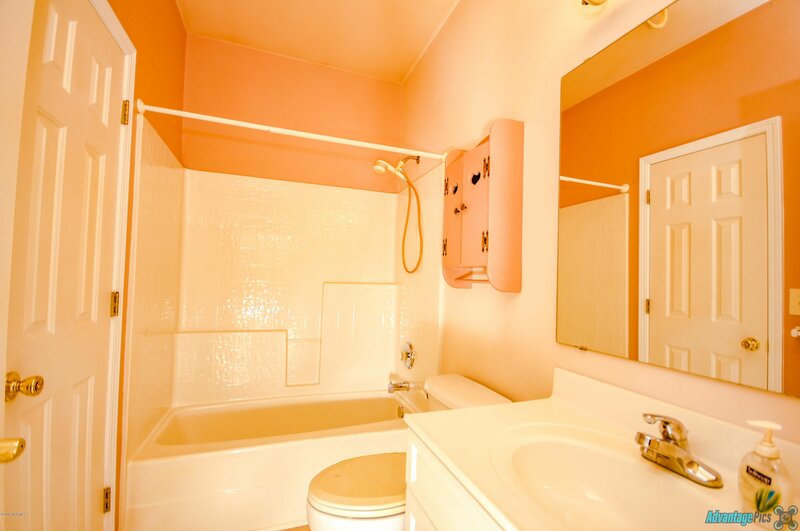 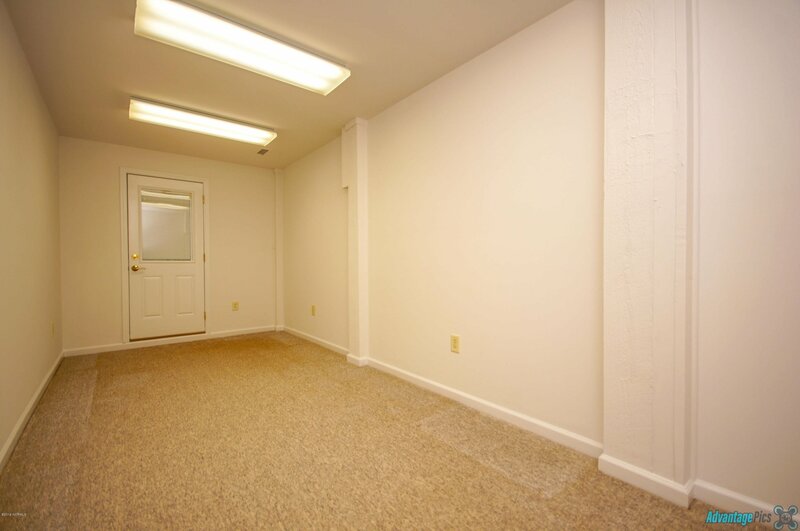 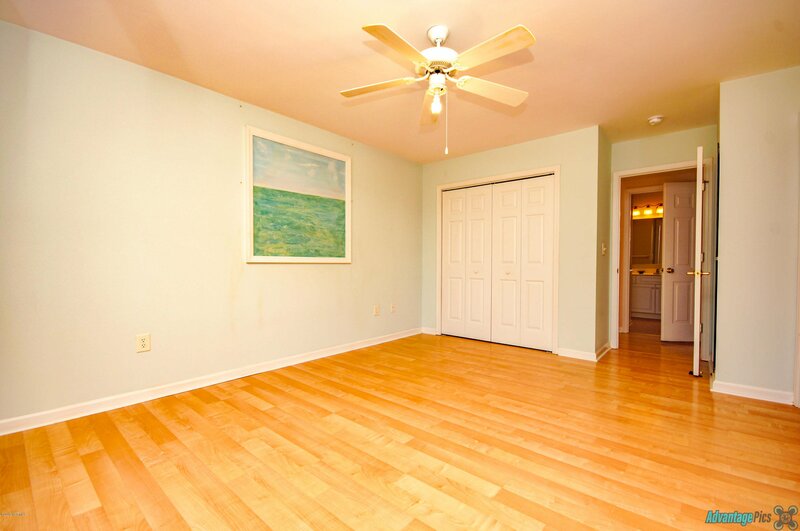 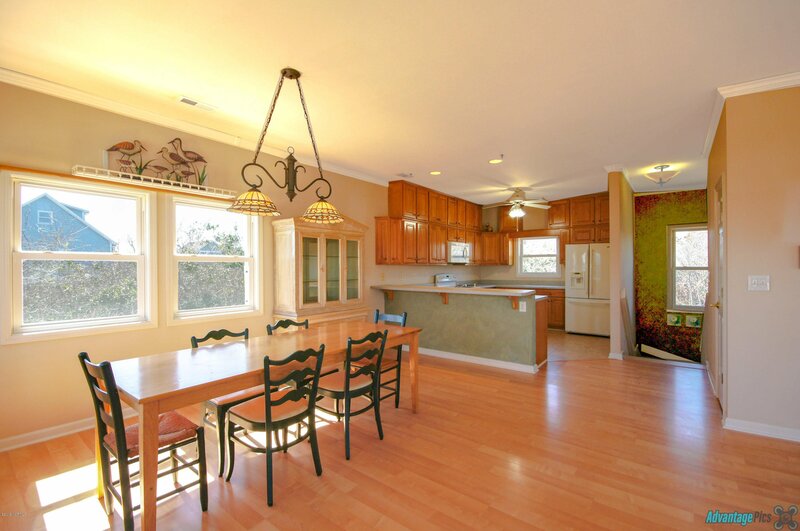 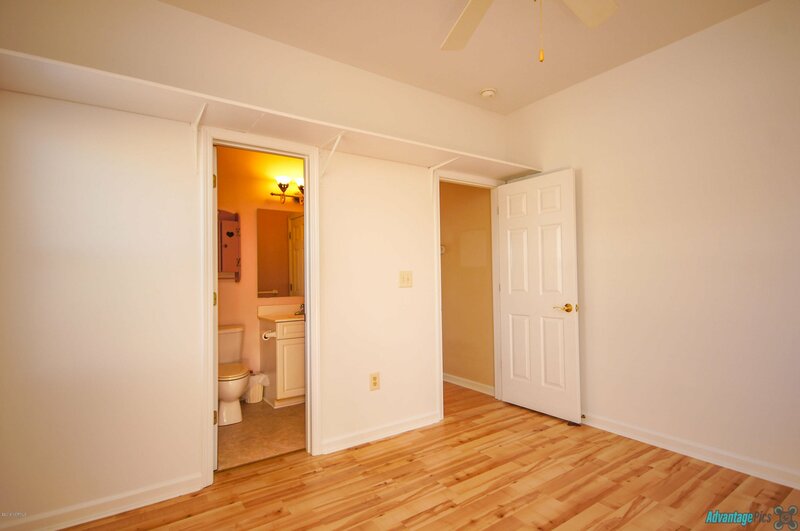 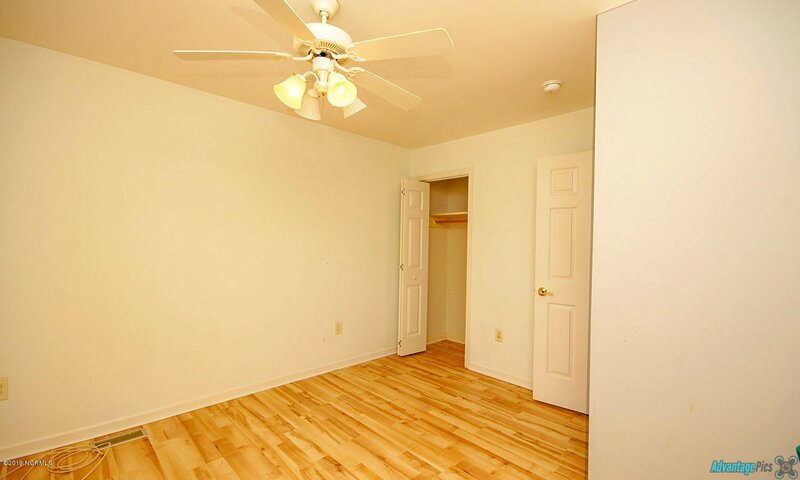 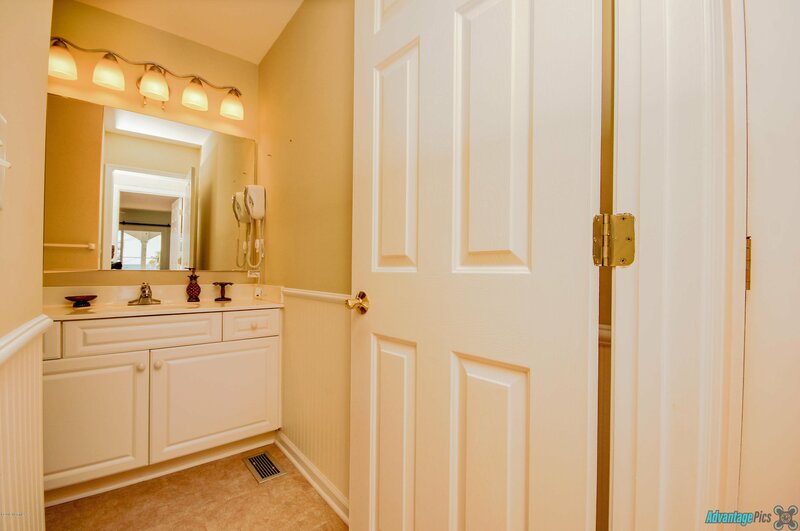 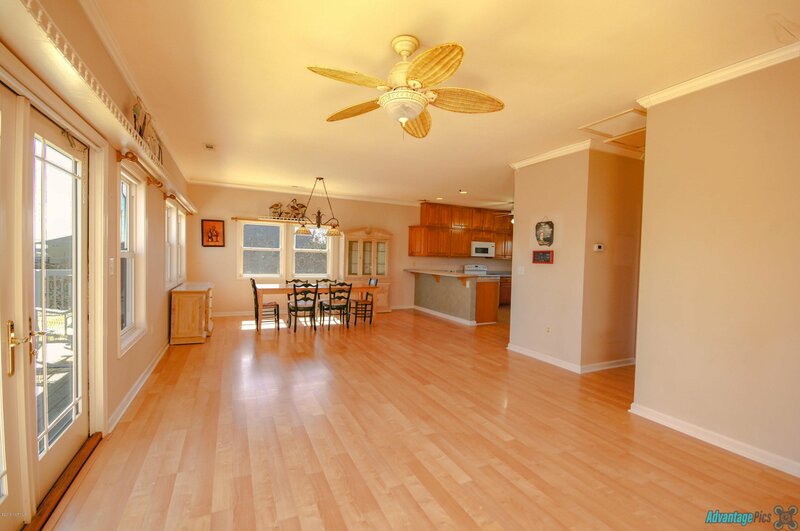 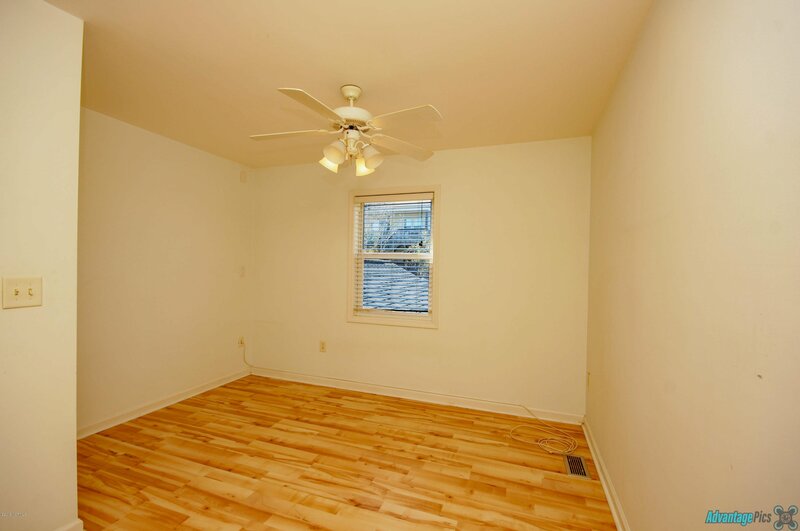 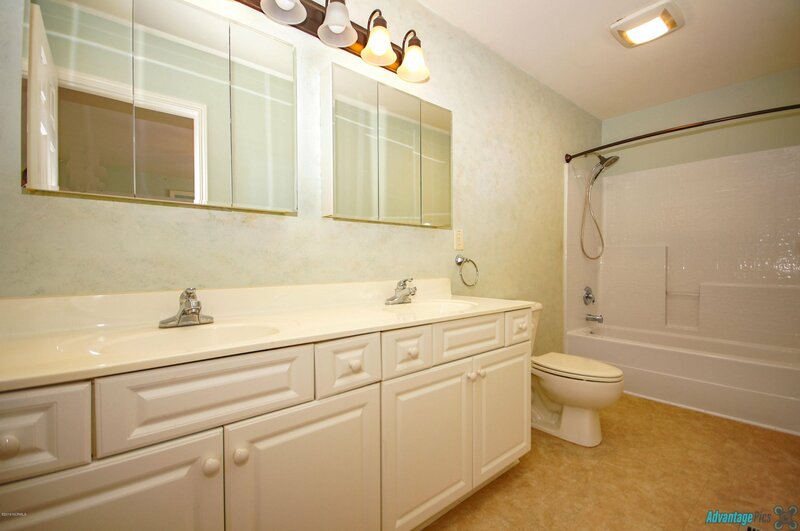 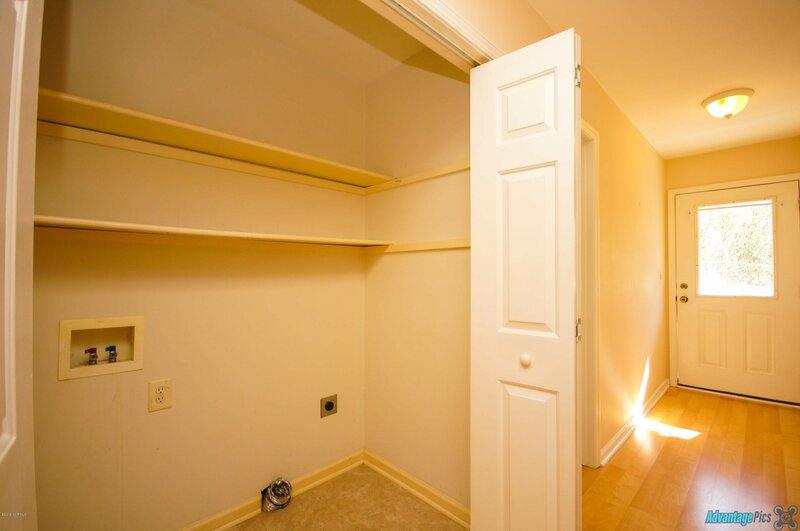 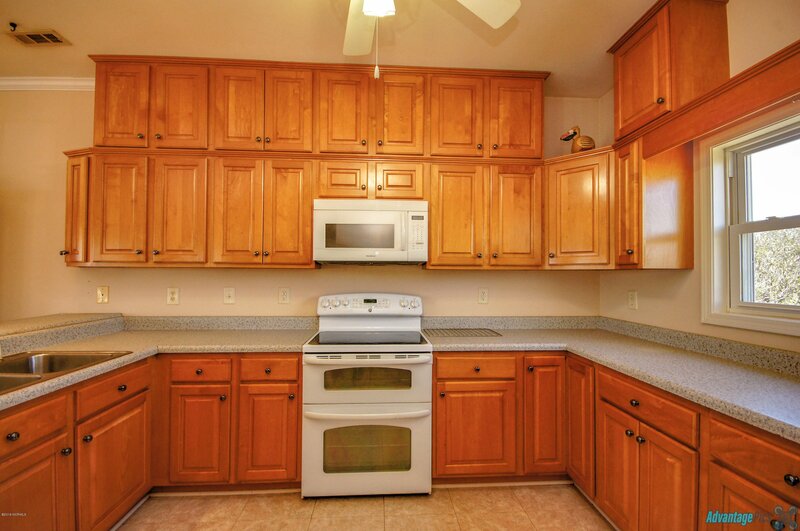 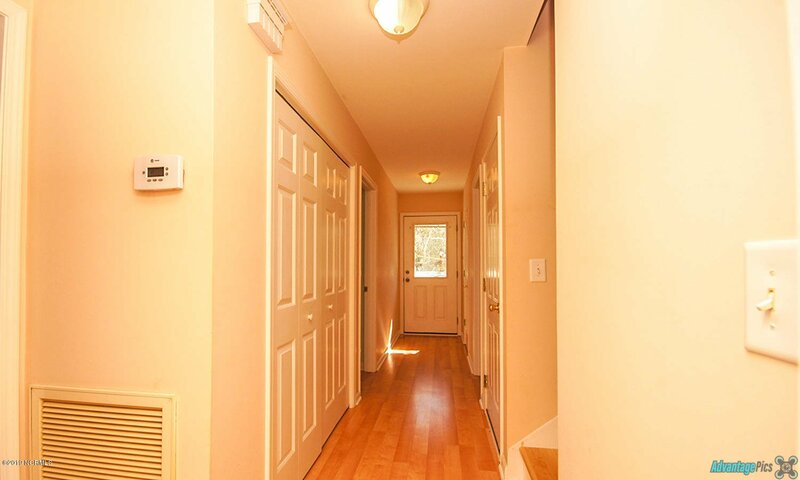 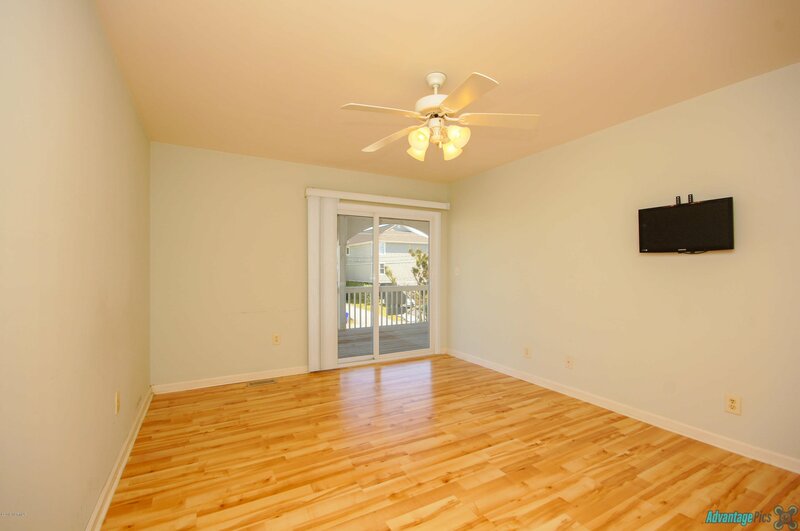 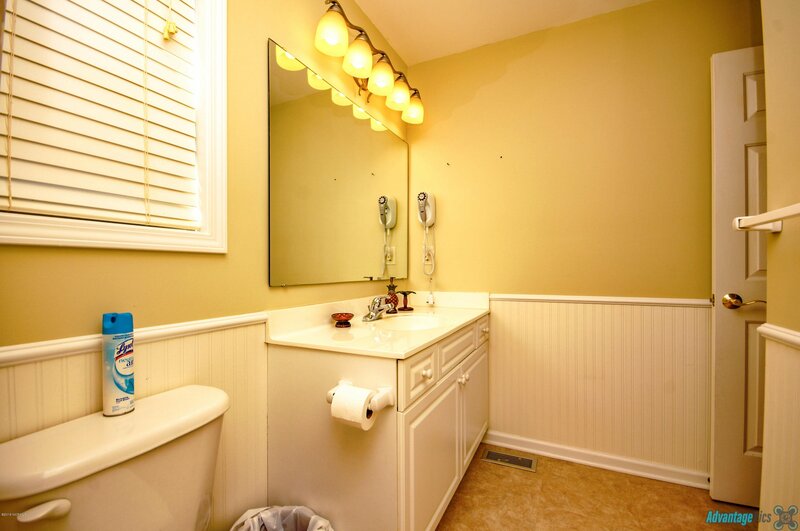 The middle floor has the master and 2 additional bedrooms plus a shared bath, and the ground level is the best of all. 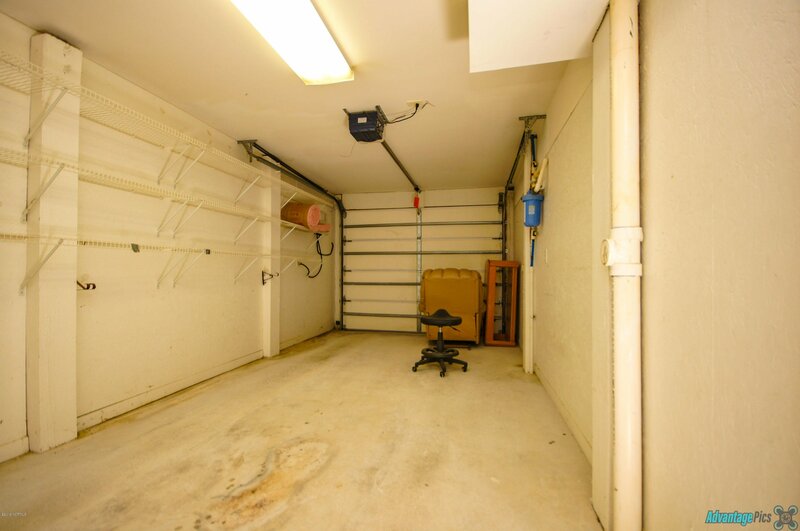 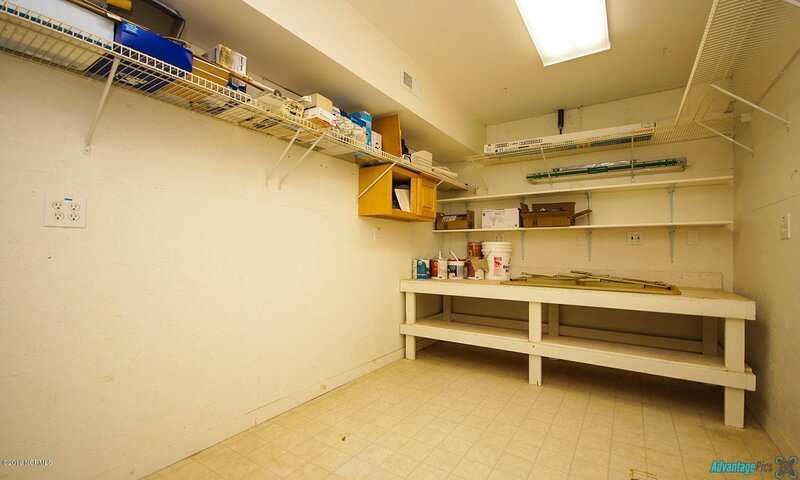 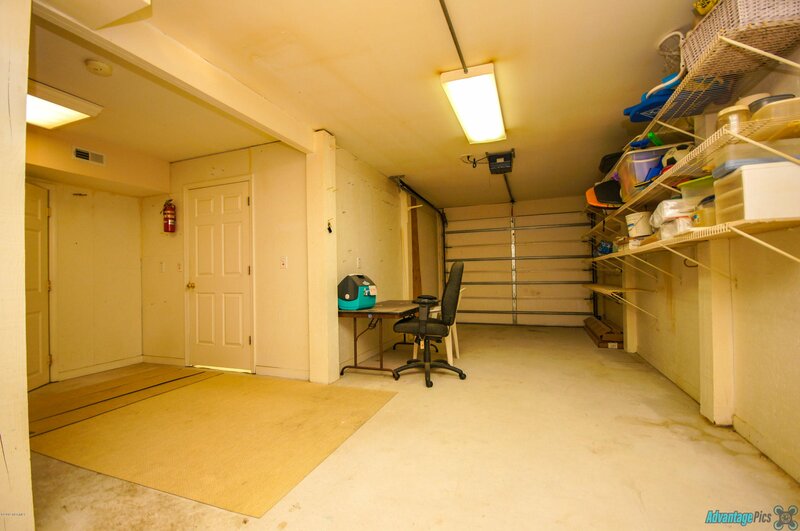 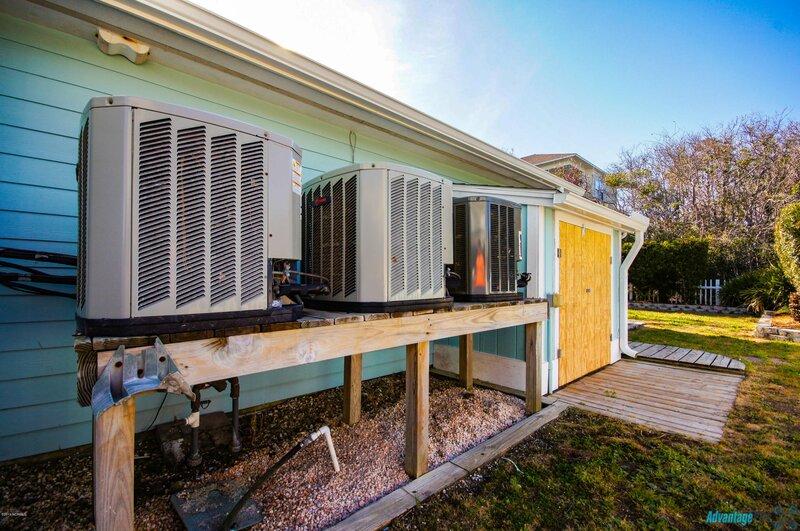 There are 2 garage spaces, plus 2 huge storage rooms, and 2 more large rooms, and the ground level has its own HVAC unit, so all of the space is heated and cooled! 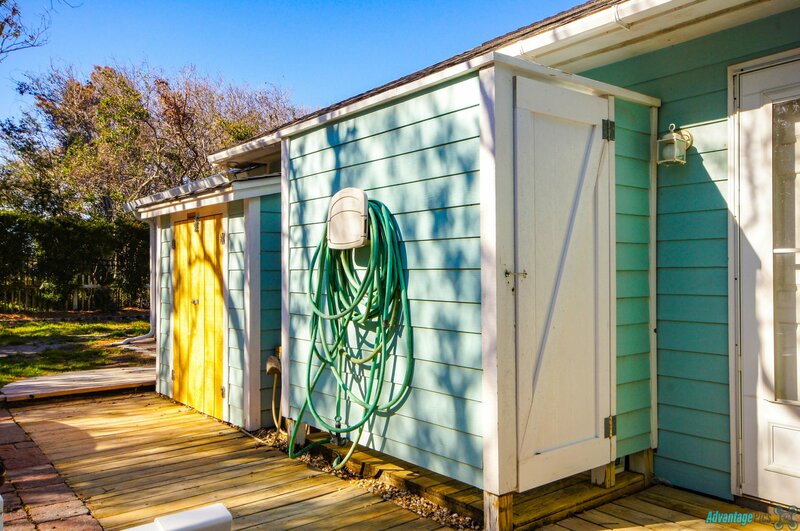 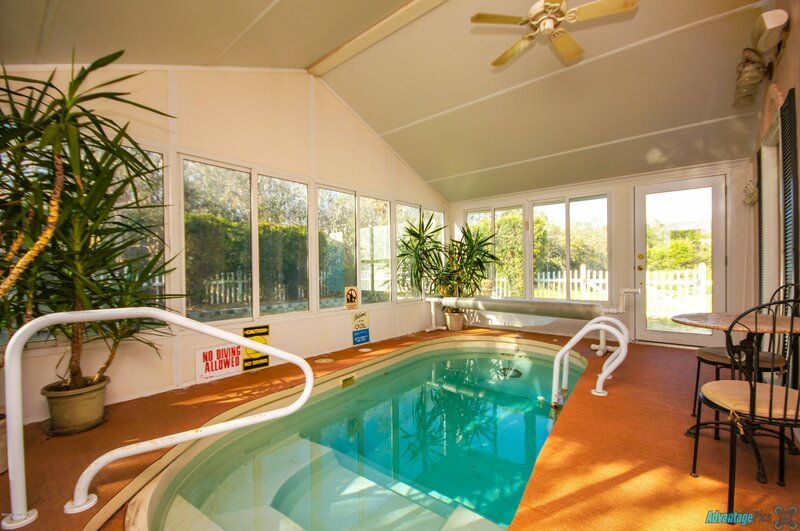 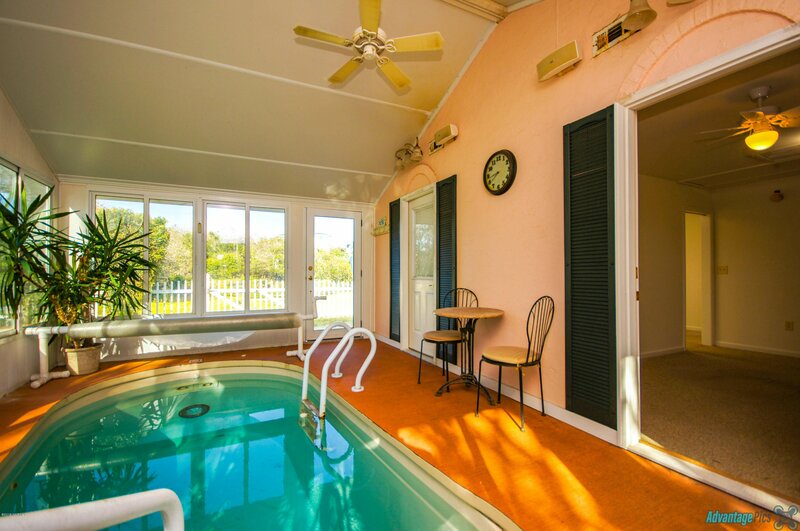 Plus the owners added a room on the back of the house, permitted of course, for an indoor salt water pool!